ISS can install aerial and satellite systems, electrical with our qualified electricians and projection systems, loud speaker systems and our experts with dealing with the height access as we are working at heights qualified installers. We worked recently at the Hanwell Adventist church. Here at ISS, we understand budgets are very tight in the charity sector and do what we can to make installation works a more manageable solution. 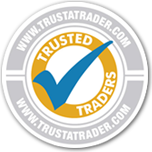 As we are recommended on Trustatrader.com and Checkatrade.com, we are always invited to these establishments to be able to help out with our expertise as we are a trusted company. We have recently worked with Mencap, Luton Deaf Social Club and John Radcliffe Hospital Social Club.